Mississippi. 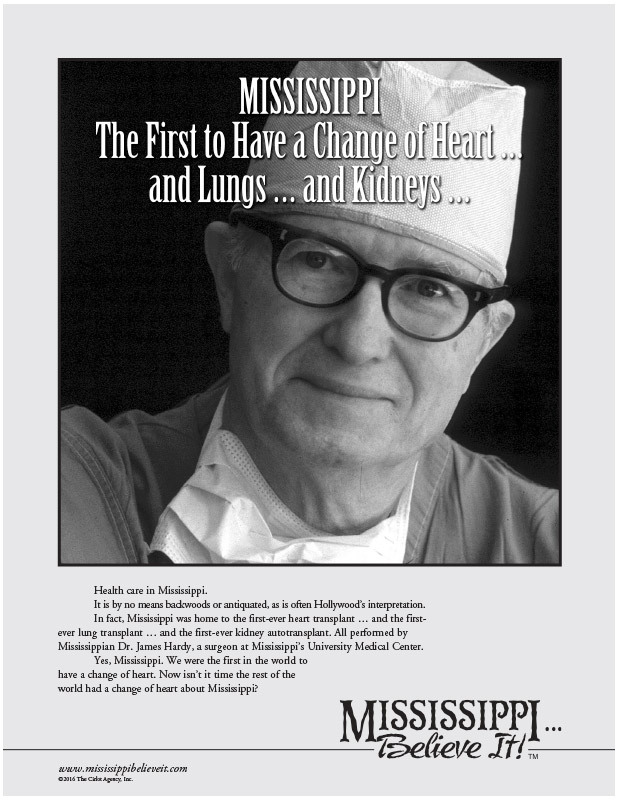 The First to Have a Change of Heart ... and Lungs ... and Kidneys ... - Mississippi Believe It! ever lung transplant … and the first-ever kidney autotransplant. All performed by Mississippian Dr. James Hardy, a surgeon at Mississippi’s University Medical Center. Yes, Mississippi. We were the first in the world to have a change of heart. Now isn’t it time the rest of the world had a change of heart about Mississippi?